Congratulations to Josh Peters, who is moving on from being founding editor of the Morningstar DividendInvestor newsletter to managing a mutual fund. I’ve made some real money by looking over his shoulder and getting turned on to some great companies by him over the years. But more than that, I am deeply grateful to Josh for his unvarnished sharing of his investment process, warts and all. Crystal clear thinking coupled with honesty and integrity oozed out of everything he wrote for the newsletter. Josh, thanks for being a great mentor and good luck in your new job! 1). A secure and growing dividend can give you a margin of safety beyond just price. 2). Don’t rely on forecasts or make big macro bets, but have a range of reasonable planning assumptions, like a normalized 10 year treasury yield of 4 – 5%. 3). Investing for income and total return are not only not mutually exclusive, they are better together. A secure and growing dividend bought at a reasonable price is a good foundation for meeting your long-term financial goals. 4). Valuation matters when investing in dividend paying stocks. It should never devolve into just a hot trade where you are buying them at any price because it has worked in the recent past. 5). The most important question to ask about a potential investment in a dividend paying stock is this: Is the dividend safe? You want to understand the cash flow dynamics of a business to avoid dividend cuts, as this is the key to successful equity income investing. 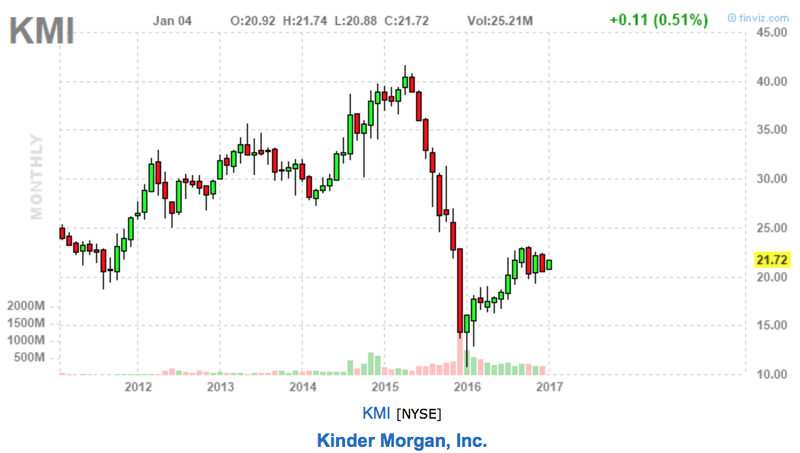 Josh did this well with his decision to bail on the Kinder Morgan family in 2014, more than a year before Kinder Morgan (KMI) cut its dividend by 75%. Step 1 — Is it safe? Step 2 — Can it grow? Step 3 — What is a reasonable long-term total return target? To me, Josh has represented the best of Morningstar, of which I am a big fan. His successor, Mike Hodel, has some big shoes to fill, but here is hoping he is up to the task. It certainly helps that he has the entire Morningstar team behind him.